One week before my summer holidays in Tuscany, I read the news about the ‘black Saturdays’ on European roads, caused by heavy congestion. Looking for a way around this problem, I found the Dutch news website NU.nl had some advice. “Try to avoid traveling on a Friday night,” it suggested. “It’s better to depart on Saturday afternoon. And use Google Maps to get the best alternative route options.” This last part was interesting and relatively new advice. So, just how far have we come in recent years with real-time navigation and where are we heading? Real-time speed data provides a dynamic picture of changing traffic conditions and enables traffic management centers to manage traffic flows. It has also become a very important part of navigation, as it allows drivers to improve on the originally calculated route based on the current traffic situation. The best and fastest route to your destination is optimized while you are driving. Now even my car navigation predicts the fastest route based on current traffic conditions, but eventually drivers must still make their own choices based on common sense. We’re so stubborn, don’t say you aren’t… So do you follow the advice of your car navigation or not? And if you don’t obey, which choice do you make? 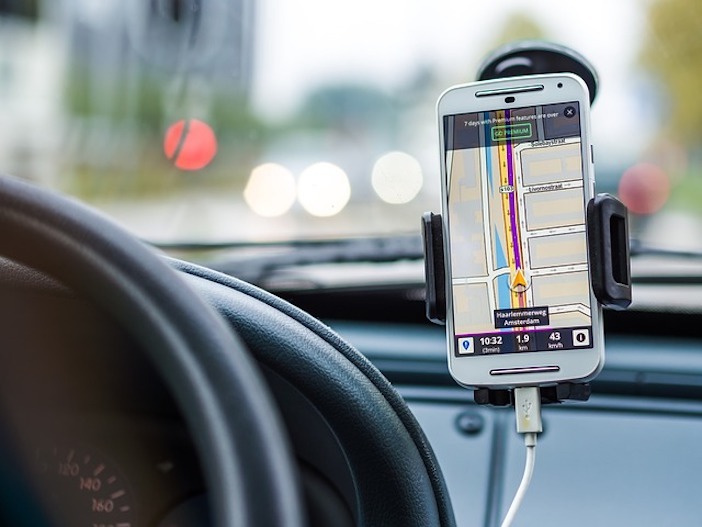 There are so many route-finding apps available, but simply by checking one you are creating a safety hazard as you will be taking your focus off the road, which is why using a smartphone while driving is illegal in many countries and US states. Nevertheless choices must be made and they are important as they can make a big difference, especially when you are driving long distances as I was a few weeks ago for my holidays – about 1,000 miles (1,600km), in fact. It was the end of August when we had to leave beautiful Tuscany behind and head back to the Netherlands. We departed around 4:00pm from our picturesque farmhouse; the car navigation predicted us to arrive home at 6:25am the next day without a stop (my wife and I always take shifts at the wheel), but during the trip our estimated time of arrival varied between 6:25am and 11:20am. Eventually we arrived at 9:00am. The estimated time of arrival appeared ,to change because of unexpected congestion around Florence and Milan.